Today the president of the Regional Council of Alsace-Champagne-Ardennes-Lorraine announced the name which has been approved by a large number of web users from a selection of four names. The newly created region will be called ‘Grand Est’. Four names were in competition to replace the provisional name of the region formed by combining the names of the three former regions: Acalie, Nouvelle-Austrasie, Rhin-Champagne, and Grand Est. The people of Alsace, Champagne-Ardennes and Lorraine were asked to choose online for one of the four names and 277,077 participants voted between the 14th of March and the 1st April 2016. The result was announced today by Philippe Richert, the President of the Regional Council. 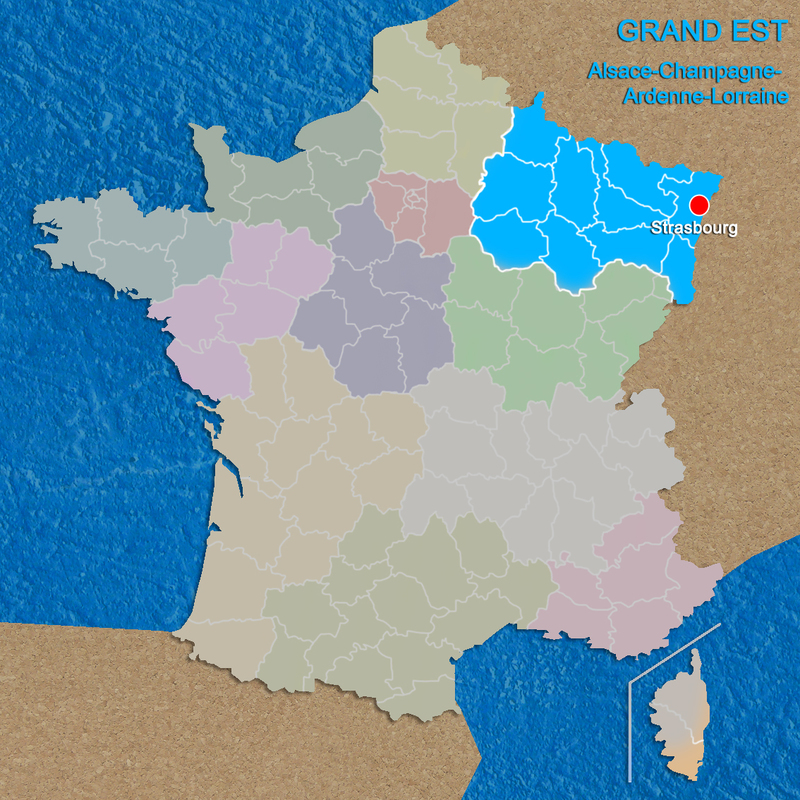 ‘Grand Est’ was highly rated by 75% of the votes cast and is the big winner, followed by Nouvelle-Austrasie (10.4 %), Rhin-Champagne (9.8 %) and Acalie (4.8 %). The name will be submitted to the Regional Council on the 29 April 2016 in plenary meeting. The Conseil d’État and the French government will give their approvals by the 1st of July 2016. The Conseil d’État (France’s highest authority for administrative law) will have until the 1st October 2016 to issue a decree to officialise the new name. In order to ‘preserve the cultural identities’ of the region, the name will keep the subtitle ‘Regional Council of Alsace, Champagne-Ardenne, Lorraine’. The law of the 17 December 2014 designated Strasbourg as the administrative capital of the new region.